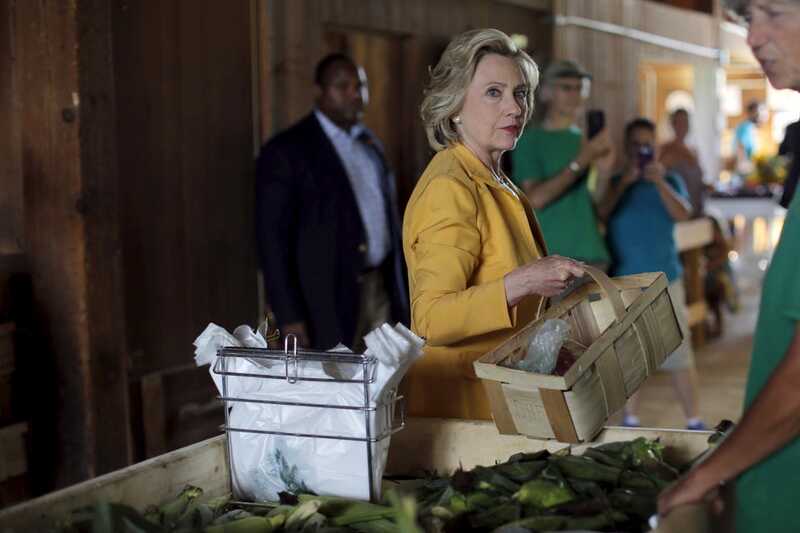 (REUTERS/Brian Snyder) Democratic presidential candidate Hillary Clinton picks out fresh corn during a visit to Dimond Hill Farm in Hopkinton, New Hampshire July 28, 2015. “The layers of security that would have to be employed to make a privately run exchange server as secure as something that is secured by the federal government would be pretty significant,” Timothy Ryan, a former FBI supervisory special agent who now manages cyber investigations for Kroll, told The Washington Post in March. “It’s not that it can’t be done. I just find it improbable." Clinton has said that the email system was established during Bill Clinton's presidential administration (1993-2001), and her team has stated that "her family’s electronic communications was taken seriously from the onset." (REUTERS) Hillary Clinton talks with students working on computers during her time as first lady.